CHRISTCHURCH, New Zealand: The media has been urged to stop naming the man charged with the shootings at two mosques in Christchurch last week that left 50 people dead. 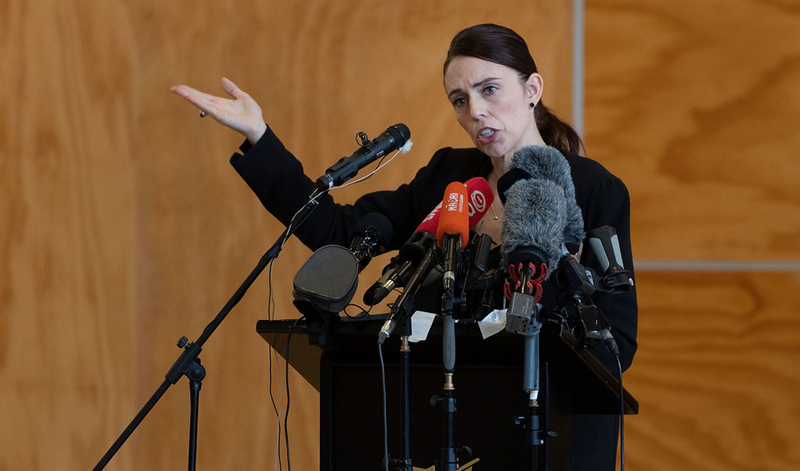 Prime Minister Jacinda Ardern said on Tuesday that she would never speak his name. In a speech to parliament, she urged the public to follow suit and deny the gunman the infamy he wants. Arden said the media can “play a strong role” in limiting coverage of extreme views such as his. “Of course, people will want to know what is happening with the trial,” she said. “But I would hope there are ways that it could be covered without adding to the notoriety that this individual seeks. The man accused of the mass shootings has so far been charged with one count of murder, but New Zealand Police Commissioner Mike Bush has said further charges will be brought against him. The man said in a manifesto posted online shortly before the attacks that he intended to survive so that he could continue to spread his ideals, and that he intends to plead not guilty. He has said he plans to represent himself in court, although a judge can order a lawyer to assist him. There have been calls for the media to refuse to report anything he says during the trial. Paul Thompson, the chief executive of Radio New Zealand, said his station will exercise caution and asked editors at all media outlets to take part in a discussion about covering the case. “We’re just going to be very careful we don’t become a platform for any kind of extremist agenda,” he said, explaining that the station does not want to inflame the situation or become a party to the accused killer’s agenda. Thompson described the case as “uncharted territory” but said he remains confident that his reporters will do their jobs professionally. Dr Philip Cass, a senior lecturer in journalism at Auckland’s Unitec Institute of Technology, said the media will have to make “a very fine judgment” about what is reported if the accused killer uses the court as “a forum for the expression of his opinion.” He was wary, however, of calls to completely avoid reporting what is said in court. “If you do that then we are moving into an area of censorship,” he said, adding that it is the media’s responsibility to provide a record of what is said and done. Dr Catherine Strong, a journalism lecturer at Massey University, said she is confident that the media in New Zealand media will act responsibly. There is no legal or ethical imperative for journalists to report everything the accused says in court, she pointed out. The country’s media has already shown maturity by not using the name of the accused in headlines and by focusing on covering the shootings from the perspective of the victims, Strong added. Hal Crawford, the chief news officer at MediaWorks, which owns TV3 and RadioLive in New Zealand, said, "Newshub is open to an industry-wide set of guidelines for reporting on Tarrant's trial, and we are in discussions with other newsrooms. Our aims are to minimise publicity of damaging ideology while reporting the workings of justice objectively." The man, who has not yet entered a plea, is due to appear in court again on April 5.